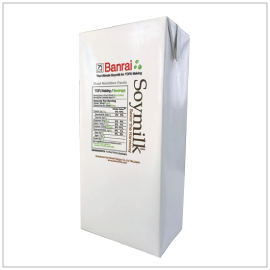 Non-adjusted (unsweetened, no additive) soymilk made from 100% Japan-grown soybeans. Naturally sweet and ideal for making tofu. Also great as an alternative to heavy cream to make rich and decadent dishes. Create delicious home-made tofu by mixing roughly 1% Nigari (magnesium chloride) into this soymilk and steam for 15-20 minutes. You can also make "Momen (firm)", "Kinugoshi (soft)", "Zaru (basket)" tofu, and more!